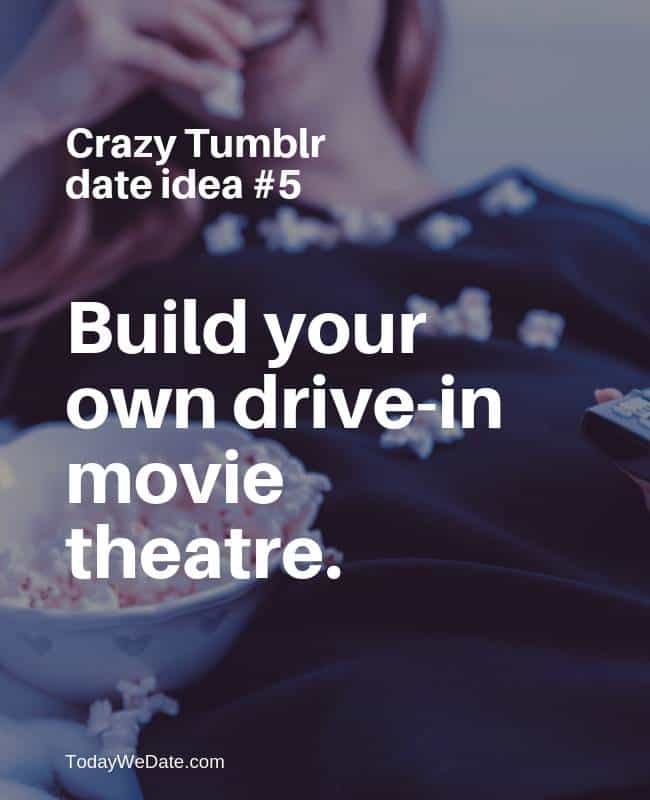 Is “Netflix and chill” still a thing to do for date nights? 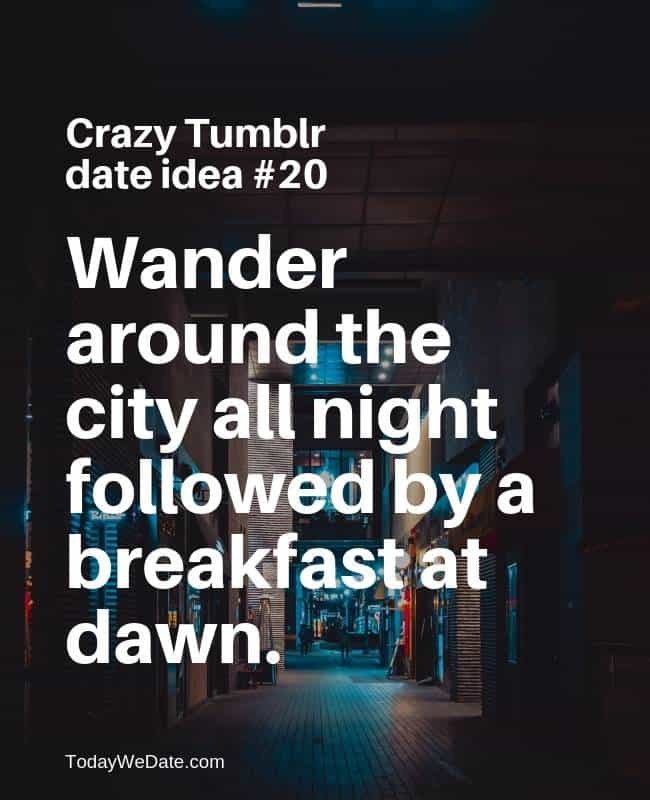 If you and your Significant Other are adventure-seeker, you may want a date night that is more unusual and creative than movie marathons. 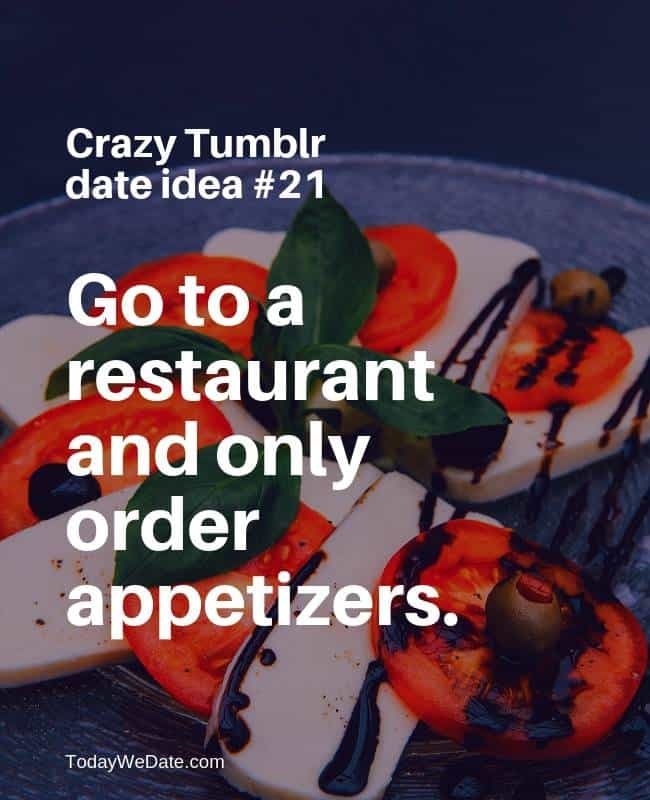 We’ve gathered 24 unique and somehow crazy date ideas on Tumblr. 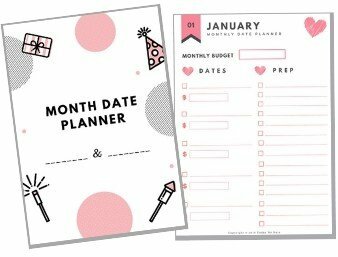 Want to try something new? This is the list for you. 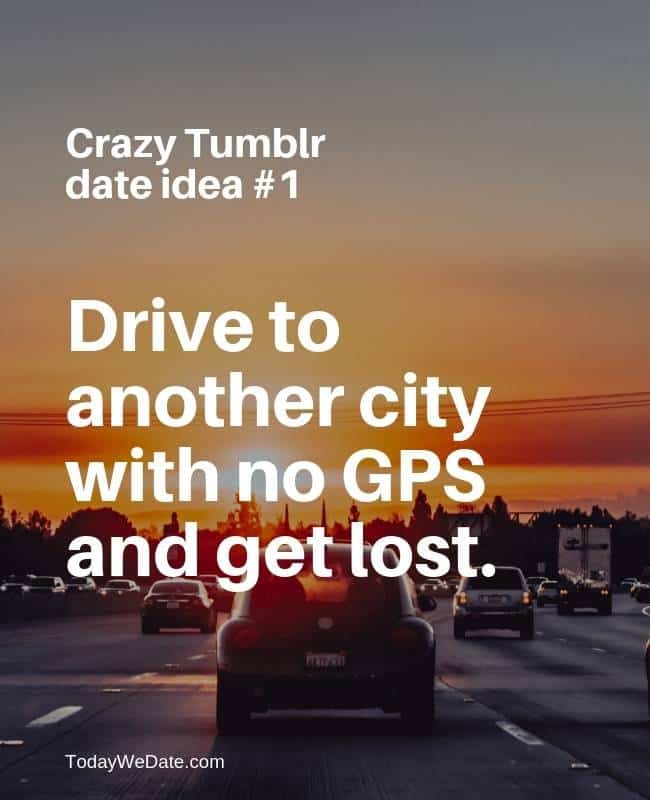 Get lost, and try to find your way home. If you’re stuck, make up secret identities and ask strangers for directions. 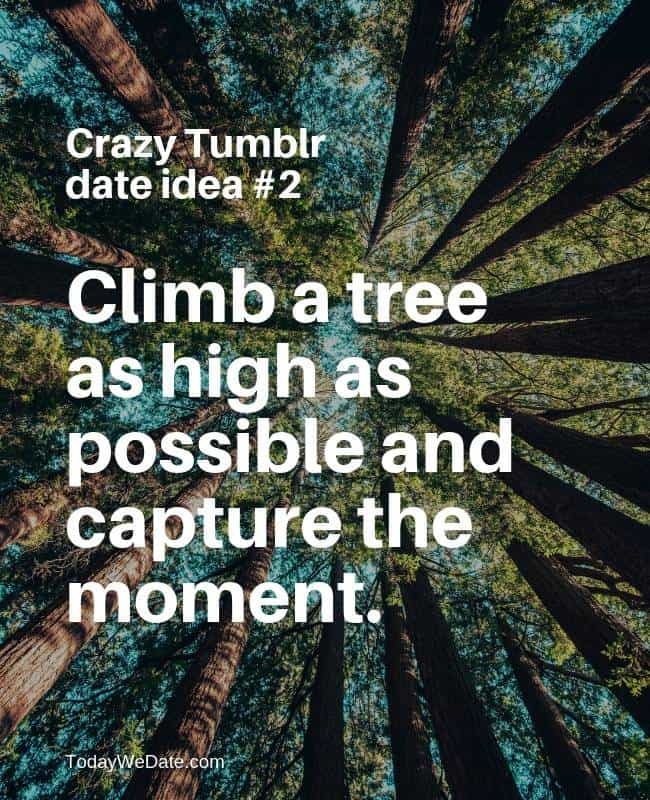 And climb as high as you can. Capture the triumphant moment for each other. 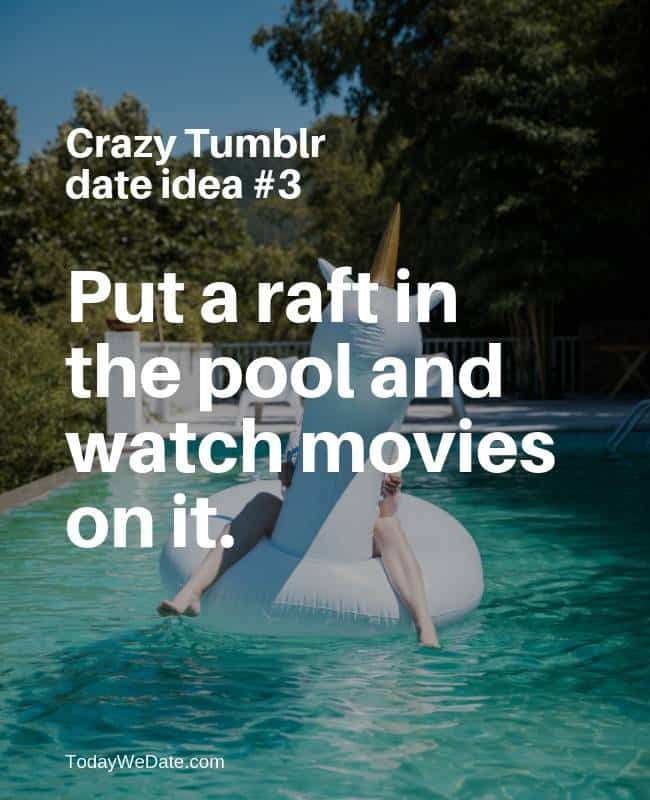 Get on the raft and watch movies projected on a wall or a screen set in the backyard. 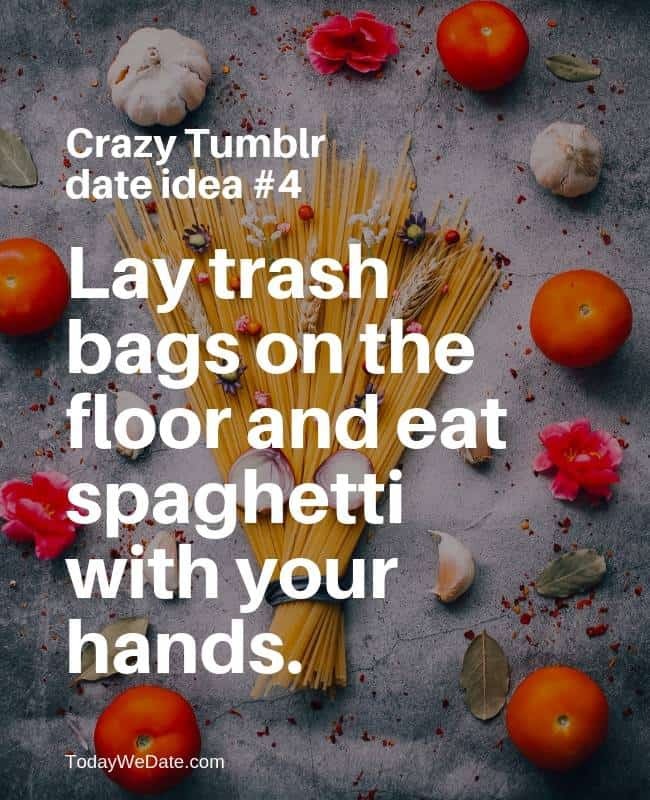 And eat spaghetti with your hands. Here’s the guide. You’re welcome. 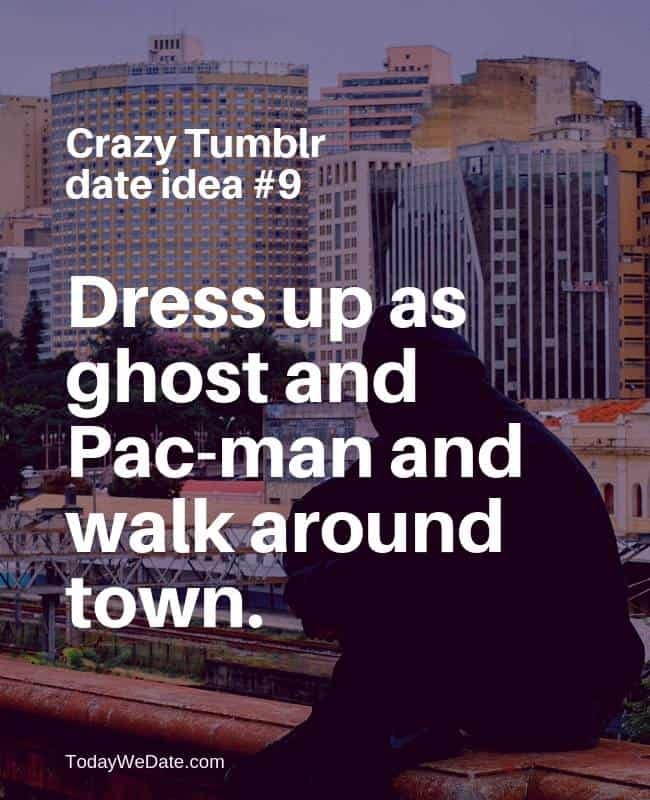 Wear your pajamas and meet at 9am in the living room. 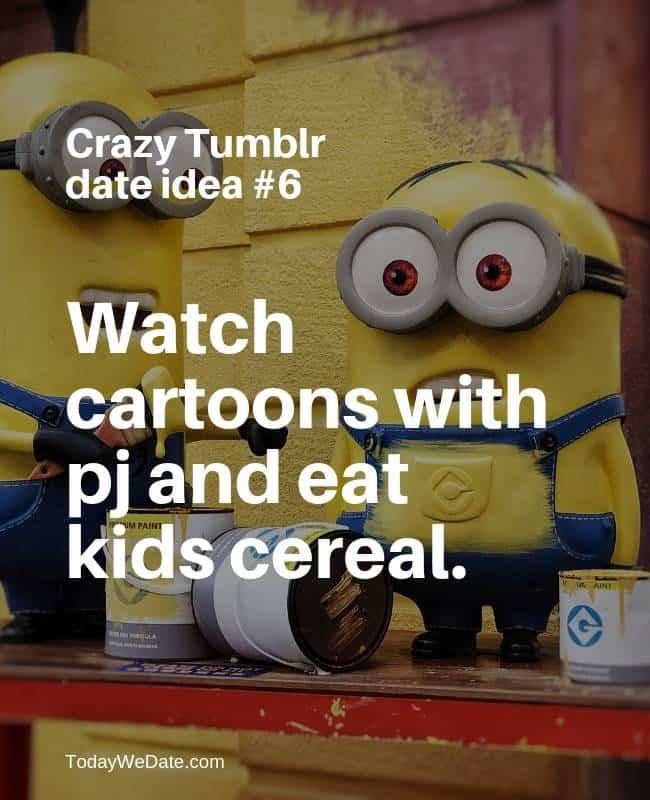 Watch cartoons while eating your favorite kids cereal. 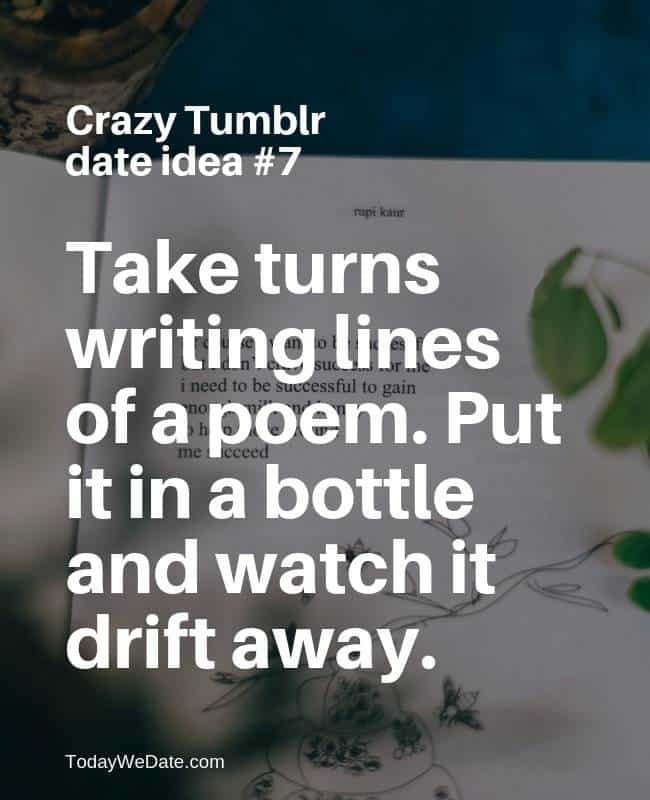 Put it in a corked bottle, and let it drift away in the water. 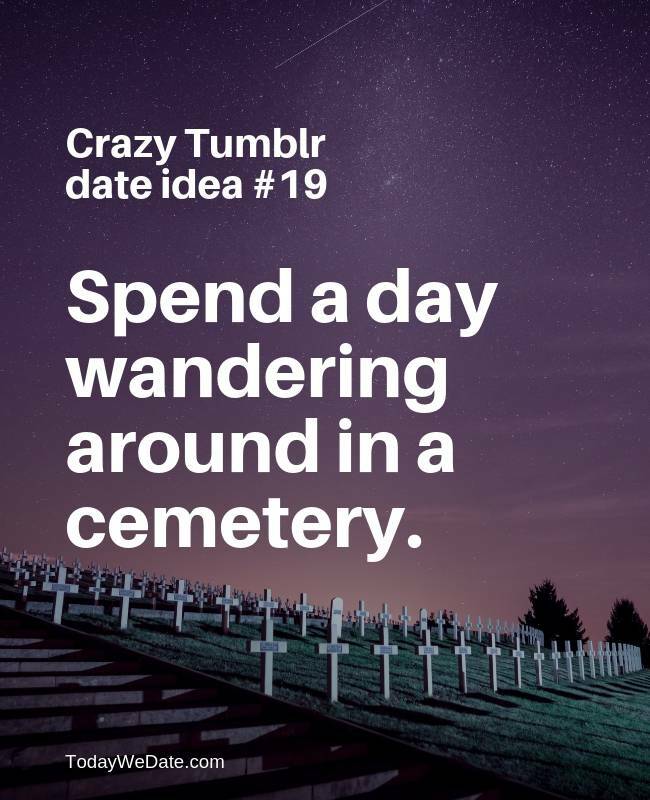 One day, another couple might find it. Include your email addresses, too. 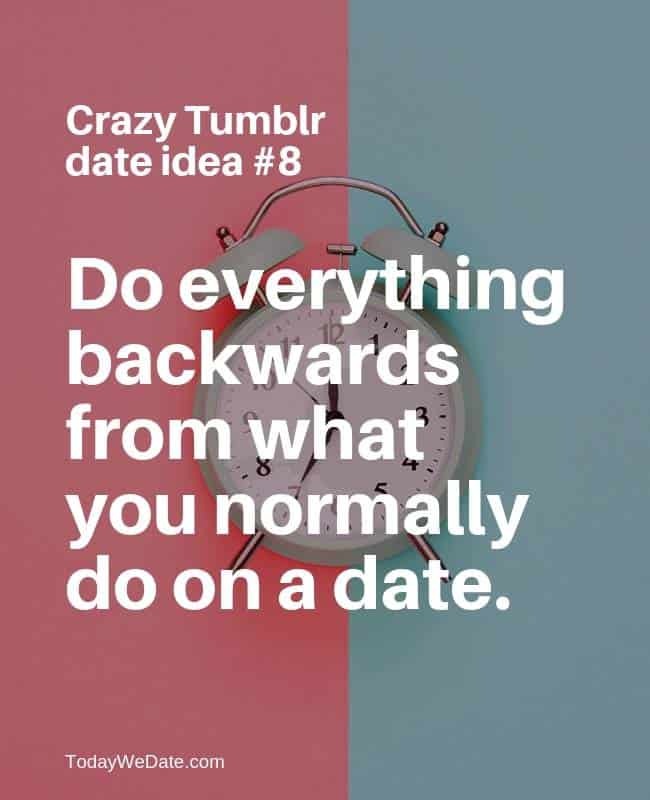 Do everything backwards from what you normally do on a date. Walk around in town holding hands. Pretend to be embarrassed when encountering other people and run away screaming “wocka wocka wocka“. 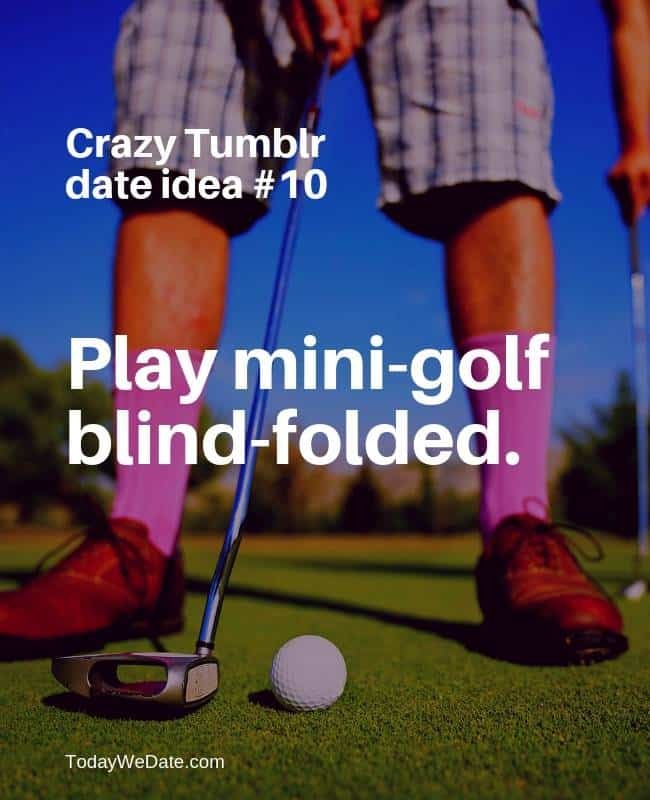 Play mini golf with blind folds on. See who’s got the best luck. 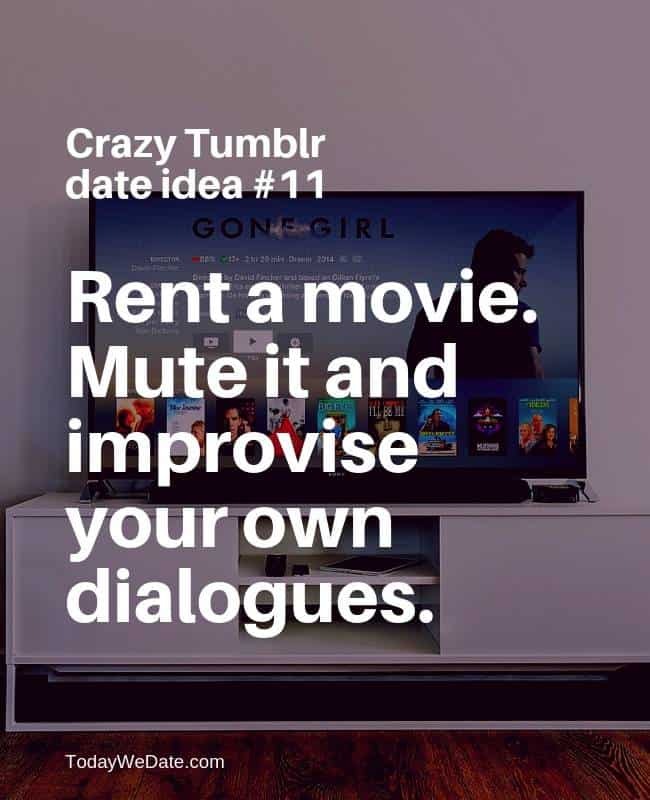 Hit the mute button and improvise your own dialogues. 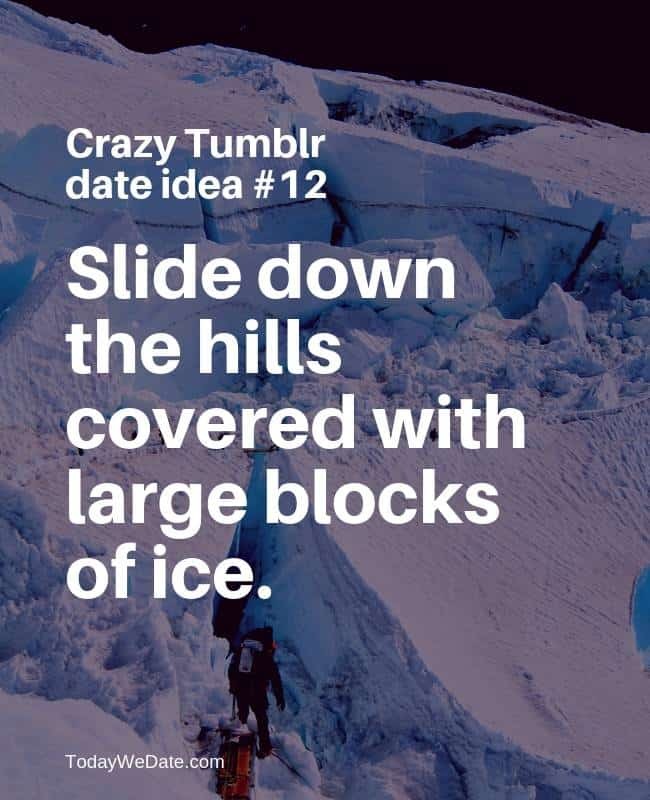 Find a place that has big hills covered with large blocks of ice. Slide down from the hill with towels to sit on. 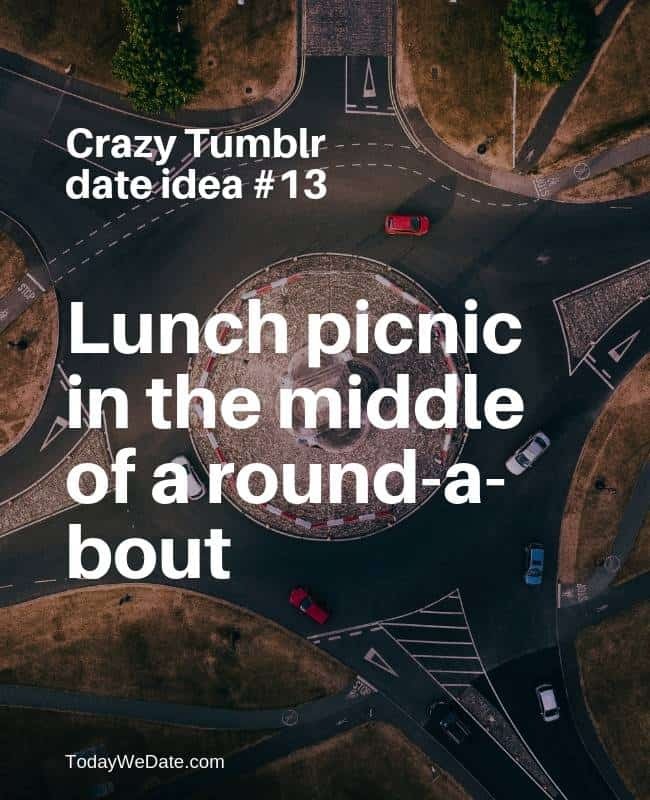 Bring a blanket and a basket, have fun, and watch peoples faces as they go around you two. Go to the airport. 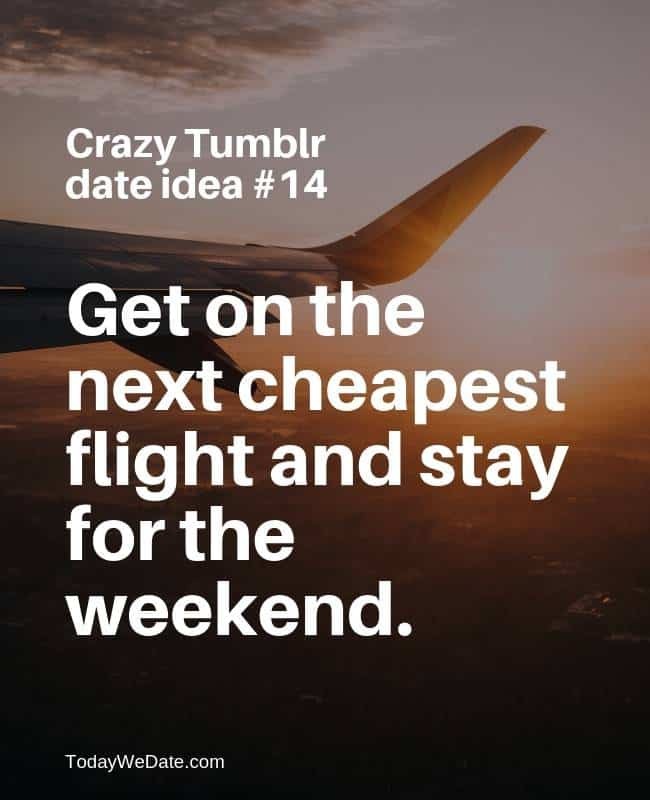 Get on the next cheapest flight and stay for the weekend. 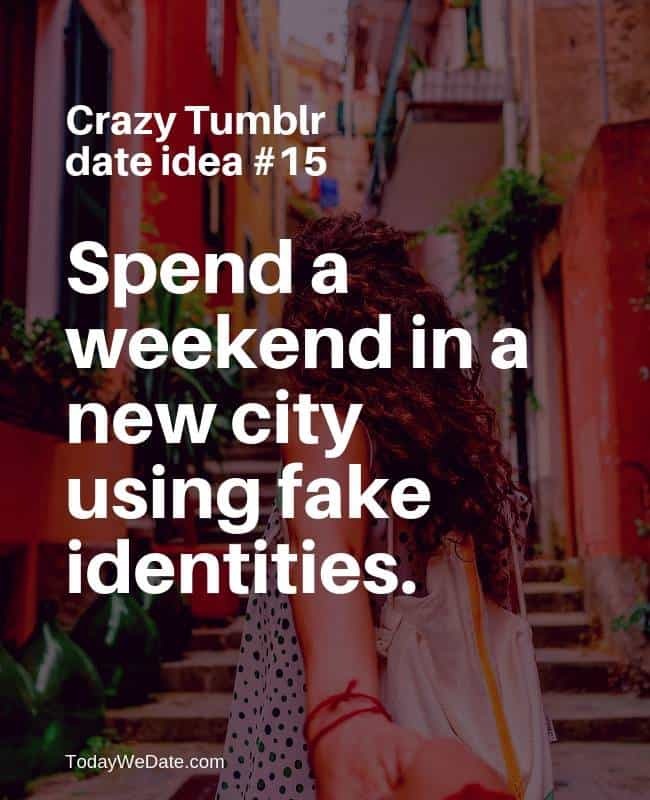 Use your fake identity for a weekend in a city you’ve never been to. 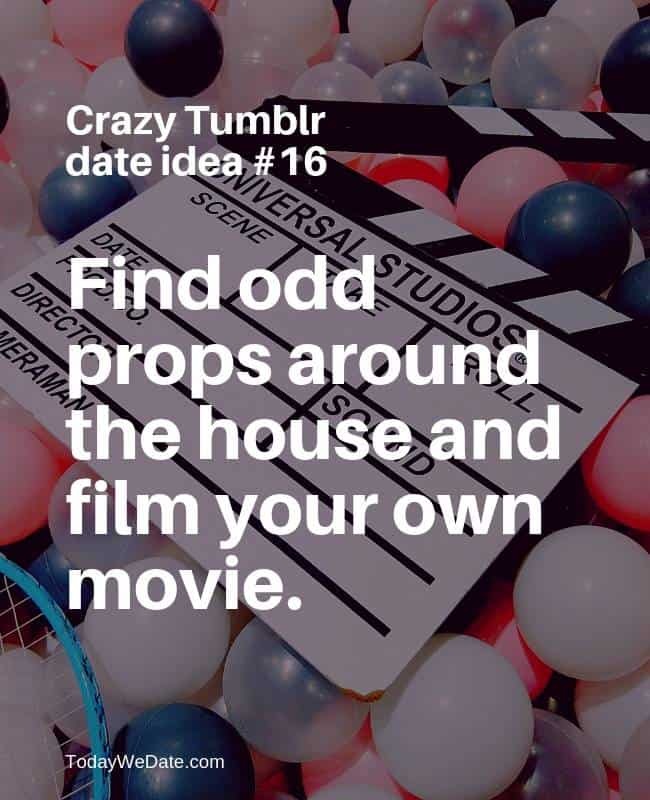 Find odd props around the house, then come up with a funny scenario to act out. One of you point out a flower and the other one eats it. 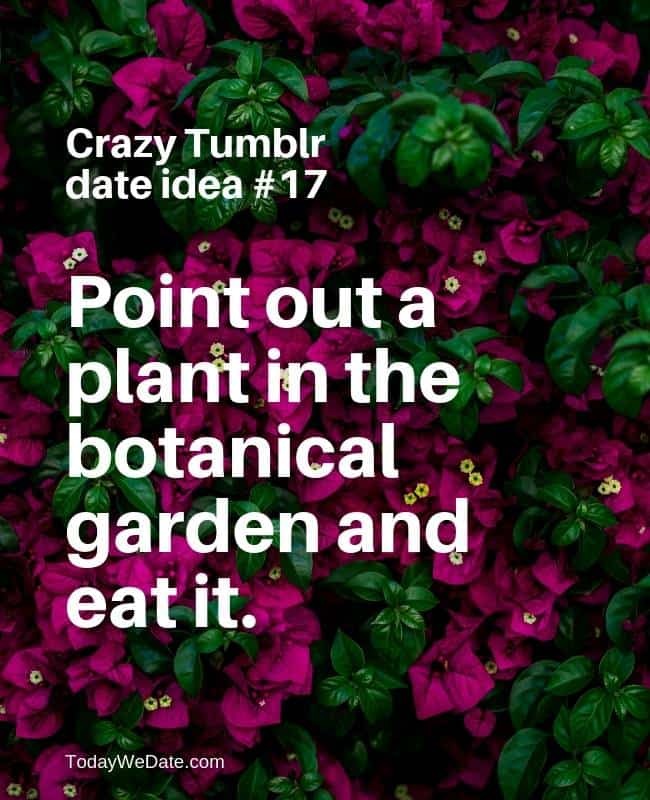 (Botanical garden is a great place for first date, but just not the eating part). 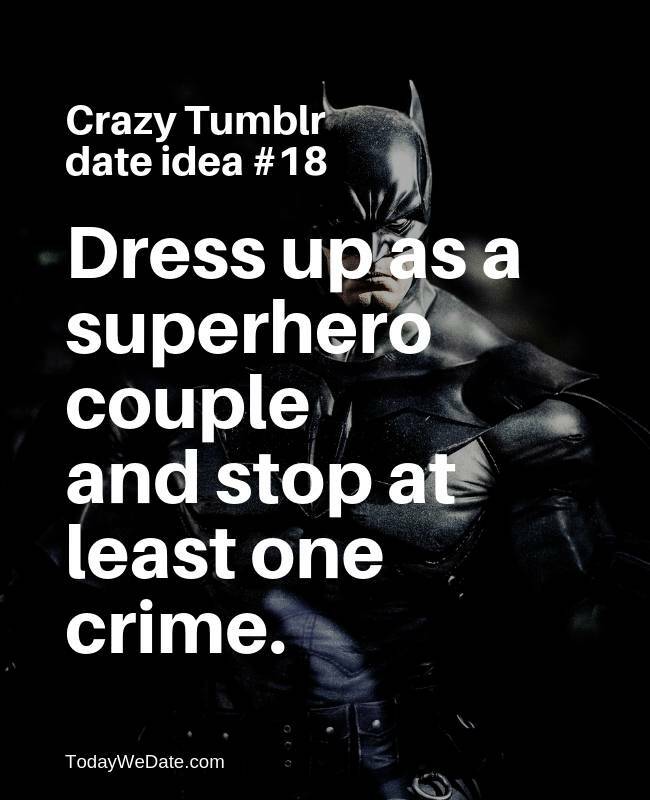 And stop at least one crime. 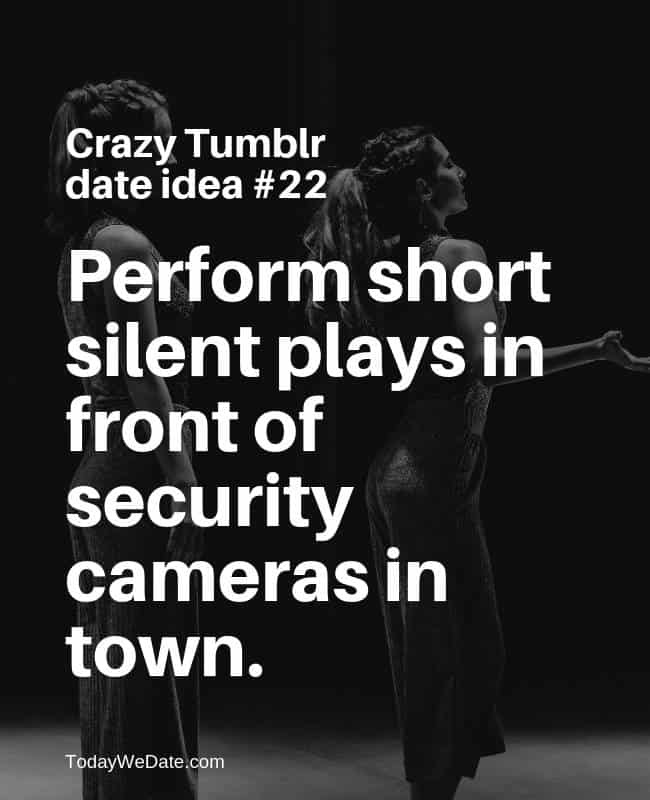 And put on a runway show to see who has best look of the day. 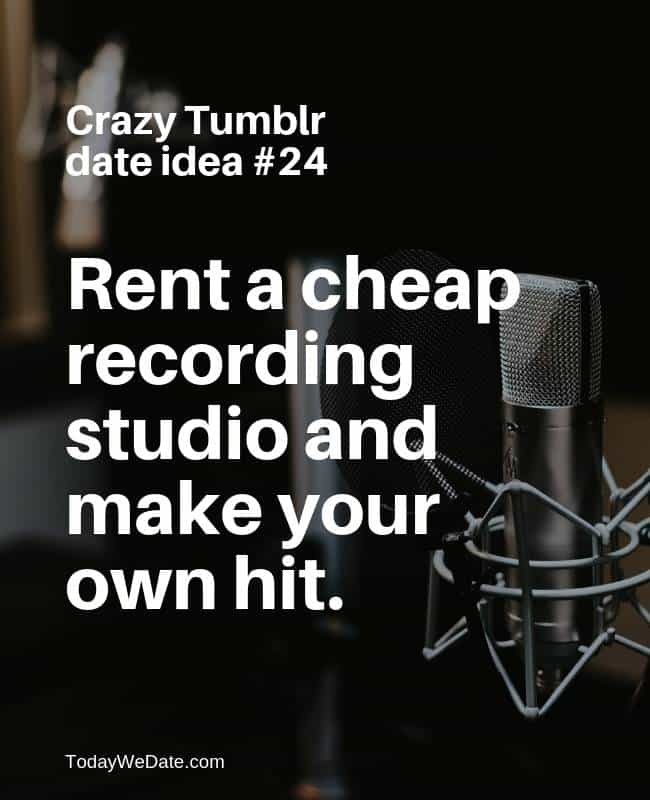 and produce your own hit single. 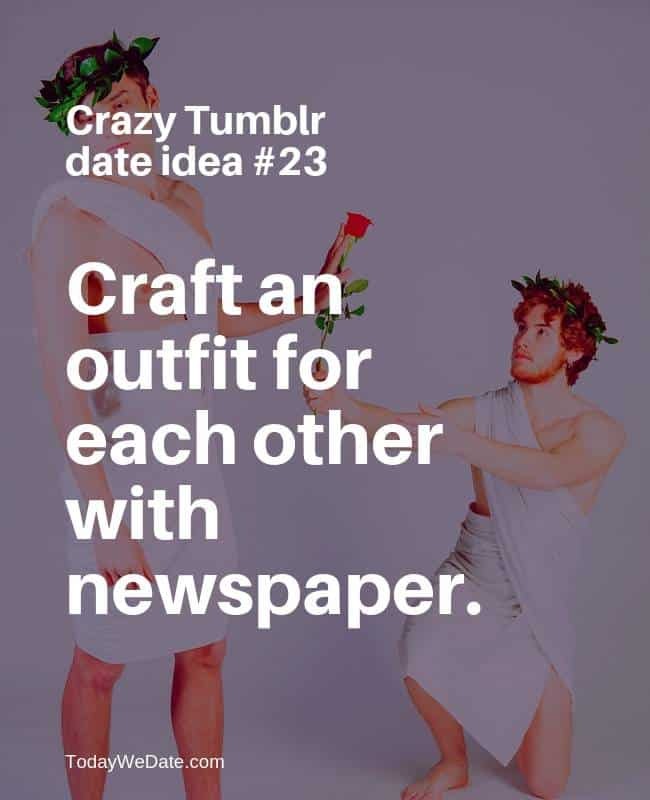 Naturally, you’ll be posting it on Facebook together. Who knows—maybe you’ll even get signed.